Work with ESCFederal and you’ll enjoy working with a team of the most dedicated and hard-working people in the industry. From the company’s ownership and senior leadership to our on-site teams, we have a proud culture of delivering value and efficiency while opening doors to new opportunities. Todd is a 29-year veteran of the building services industry. He founded ESC in 2002 with a vision to set the standard for the industry. In October 2014, Todd was appointed CEO/President to oversee and merge the ESC and FBS companies, known today as ESCFederal. Under Todd’s leadership, the companies have experienced unprecedented growth and success. Todd is married and lives in the Philadelphia area where he enjoys spending time with his three children and one-year-old granddaughter. Roger has been with the company for more than 17 years. He has extensive experience in sales, sales management, contract management and operations management. Roger’s core values of integrity and professionalism are demonstrated in his approach to customer, co-worker and partner relationships. Roger lives in sunny Orange County, California. Mitch joined the team in 2013 with over 24 years of experience in the custodial and maintenance industry. He began in the custodial business for a regional janitorial supply firm in New Jersey, then went on to run a successful consulting firm for cleaning companies looking to expand their business and add sustainable products and practices to their business. His experience includes Parx Casino, where he created an EVS program and staffing for their opening in 2007, and the University of Pennsylvania, where he oversaw their housekeeping department for 4 years ($25 million budget with over 470 Teamster housekeepers). Mitch is a graduate of the University of Pennsylvania and proud father of 3 kids. Debbie brings more than 26 years of experience managing risk for national providers in the building services and insurance industries. For our family of companies, Debbie manages the risk and HR activities. Debbie is a mother two, and is a passionate advocate for educational issues in the special needs community. 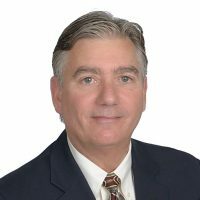 Ken joined the team in 1994 and brings more than 31 years of shopping center management experience, including working as VP/GM with the Rouse company and GM for Westfield in Los Angeles. He is responsible for business development, long-term customer satisfaction and partner solutions. Ken is a member of IFMA and ICSC. He is a graduate of Baltimore’s Culinary Arts Institute. Ken is married, a father of three, and grandfather of one. Bryan joined the team in August of 2001 and brings more than 20 years of facility management experience. Bryan is committed to ensuring safe working conditions. Delivering first-class service in the safest manner possible is our priority as a team. Bryan ensures this by leading and inspiring with the utmost honesty, integrity, and compassion. 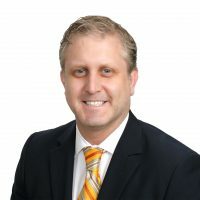 Bobby is Senior Vice President of Client Relations and Business Development, and helps to maintain and expand strategic business relationships. 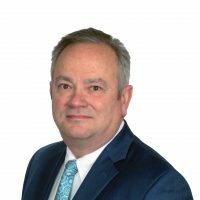 Prior, Bobby served as Vice President of Operations & Business Development and as the South Central Business Unit Manager for ESCFederal. Bobby’s previous experience includes directing operations and management for restaurant groups and servicing the financial/banking industries. A veteran of the U.S Navy, Bobby holds a Bachelor’s degree from the University of Florida and an MBA from the University of Tennessee. Bobby currently enjoys life in Dallas, TX with his son. 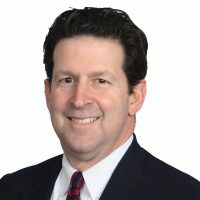 With more than 28 years’ experience, Jeff had worked in nearly every aspect of the facility management industry and is a proud graduate of ServiceMaster’s Executive MBA program and Aramark’s Executive Leadership Institute. 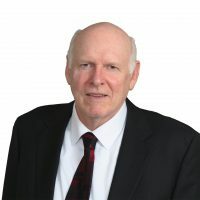 He has specialized in creating innovative solutions, challenging the status quo while maintaining trust and initiating integrated facility management solutions to position organizations for success. Jeff is known for his ability to forge long-term relationships between team members and clients. Jeff is a member of IFMA, APPA and Washburn University Alumni Association. When not at work, Jeff is a proud and passionate breeder of Rhodesian Ridgebacks, beautiful dogs known for their formidable power, dedication and courage. 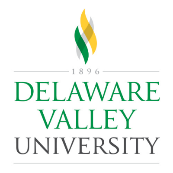 A 40-year veteran of the commercial landscaping industry, Joe holds a degree in Ornamental Horticulture from Delaware Valley University. He is an experienced manager, overseeing high profile, multi-state commercial landscaping, maintenance, and snow removal for high-end shopping malls, professional sports teams, hospitals, public utilities, corporate headquarters, and more. Currently residing in Pennsylvania, Joe was born and raised in New Jersey. He and his wife are proud parents of two sons. Luis joined the team in 2004. He oversees the day-to-day of several of the company’s high-profile accounts in California. Luis graduated from the Universidad de Occidente with a degree in Business and Finance. Luis is a proud father of 8 wonderful kids. 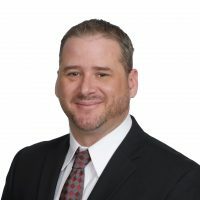 Eric joined the team in 2005, and has over 20 years of experience in Commercial Property Operations including 5 years with the Mills Corporation. During his tenure, Eric served 3 years as an Operations Consultant for a shopping center developer in South America, performing comprehensive assessments and recommendations on all facets of shopping center operations. 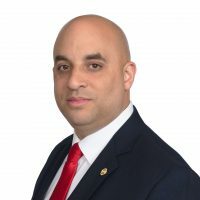 As a former member of the United States Air Force, Eric has implemented the structure, honesty, and integrity learned in order to better operate a multitude of properties on a national scale. Eric is married with 3 children, and currently lives in beautiful Phoenix, AZ. 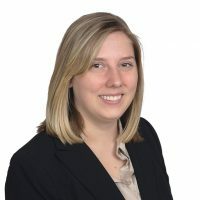 Andrea oversees the shared services department for ESCFederal. In this role, she works directly with field operatives and approved vendors. These relationships provide a unique customer service as the purchasing department ensures cost efficient solutions for day-to-day operations for our clients, as well as exemplary quality in a timely fashion. 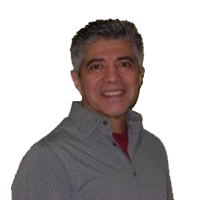 Richard Alvarado, CSHM, is our National Director of Safety. He joined the ESCFederal team in 2013, and he has over 10 years of safety experience in janitorial services, coupled with more than 20 years of logistics and inventory management experience. 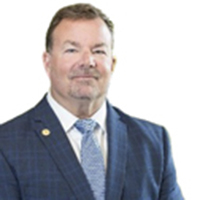 Richard established ESCFederal’s Core Value of Safety and the company’s Safety Management System based on audit and training systems he created in the California region and then expanded nationwide. 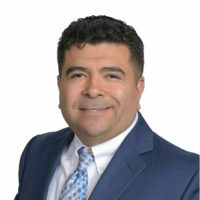 He holds a degree from Chaffey College and received his Certificate of Production and Inventory Practices from California State University Fullerton. He retired from the U.S. Navy Reserve after 25 years of service and currently resides in Orange County, California.